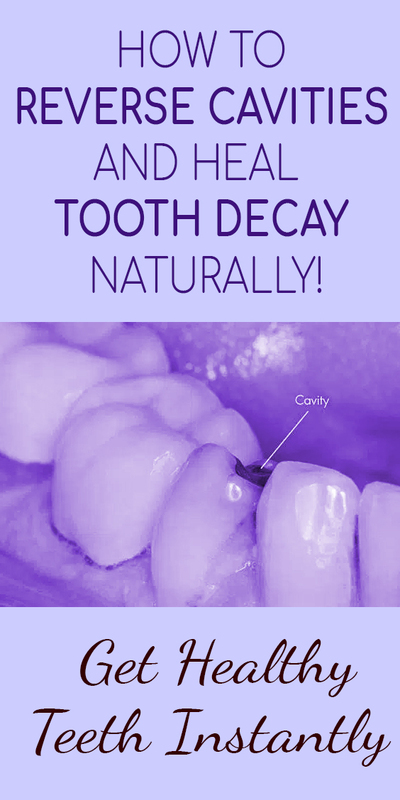 7 TIPS ON HOW TO REVERSE CAVITIES AND HEAL TOOTH DECAY NATURALLY! 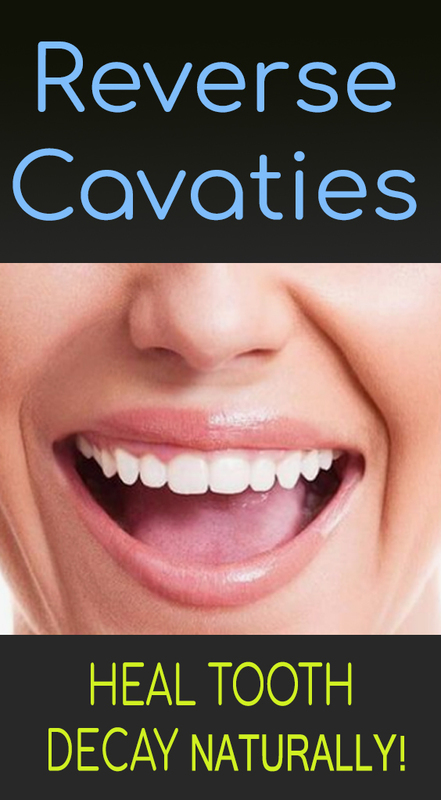 Homehome remedies7 TIPS ON HOW TO REVERSE CAVITIES AND HEAL TOOTH DECAY NATURALLY! Healthy gums and teeth make it easy for you to eat as well as enjoy food. Multiple problems can have a negative impact on your oral health. However, taking good care of your gums and teeth will keep them strong as you age. The best way to keep good oral health is to eat healthy and have proper oral hygiene. In fact, various nutrient deficiencies are the main culprit of tooth decay, such as low levels of fat-soluble vitamins such as vitamin A and vitamin D and A in your body. Unfortunately, the standard American diet is high in processed foods and low in vitamins and minerals. That’s not all, phytic acid present in some plant foods has been found to contribute to tooth decay. To be more specific, phytic acid is actually a compound present in plants. This compound is created, so that plant tissues could store phosphorous. Phytic acid is present in legumes, nuts, seeds, and grains. When you consume seeds and grains, the phosphorous found in them isn’t readily bio available, which means your body cannot digest it. Moreover, phytic acid decreases the amount of phosphorus available from the food you eat. Also, it binds with minerals, like zinc, iron, magnesium and calcium to create a phytate. When bound as phytates, all these minerals are made unavailable to you. So, foods rich in phytic acid act as anti-nutrients by reducing your blood phosphorous levels and interfering with your body’s ability to absorb necessary minerals from your diet. But, you can remove the acid by soaking legumes, nuts, and grains overnight in a solution of water and 1 tablespoon of vinegar or lemon juice. As mentioned above, foods that possess phytic acid include seeds, beans, nuts, and grains. You should avoid eating these foods since the phytic acid found in them could keep your body from absorbing the vitamins and minerals from the food you eat. Eating foods high in minerals and vitamins helps prevent or even heal tooth decay. You should eat green leafy vegetables and healthy fats, such as olive oil, coconut oil, avocado, etc. Minimize your consumption of foods rich in sugar to keep your teeth healthy because the harmful bacteria found in your mouth feed on sugar. Plus, sugar demineralises and decalcifies the structure of your teeth. It is an ancient dental technique that could help improve your oral health. Simply rinse your mouth with 1 tbsp. of raw, organic coconut oil for about twenty minutes and then spit it out. It is advisable to start doing it for about five minutes and then gradually work your way up to twenty minutes. Doing this dental technique on a regular basis could also help fight headaches, gingivitis, and more. You should brush your teeth with fluoride-free toothpaste in order to keep good oral health. But, this type of toothpaste can be expensive. Luckily, you can make your own fluoride-free toothpaste. You can prepare your own fluoride-free toothpaste by mixing all the ingredients. Follow the above mentioned recommendations to reverse cavities, heal tooth decay and keep your teeth and gums healthy.